Why, in the battle over Citizens United, the Supreme Court never had a chance. 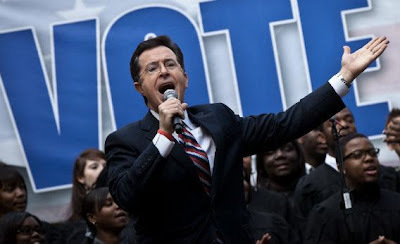 Comedian Stephen Colbert hosts a rally in Charleston, S.C. on Jan. 12, 2012. Photograph by Richard Ellis/Getty Images. The Supreme Court has always had its critics. Chief Justice John Marshall had to contend with the temper of President Andrew Jackson (“John Marshall has made his decision, now let him enforce it!”). And Chief Justice Charles Evans Hughes went toe-to-toe with FDR, who wouldn’t let up with the court-packing. But in the history of the Supreme Court, nothing has ever prepared the justices for the public opinion wrecking ball that is Stephen Colbert. The comedian/presidential candidate/super PAC founder has probably done more to undermine public confidence in the court’s 2010 Citizens United opinion than anyone, including the dissenters. 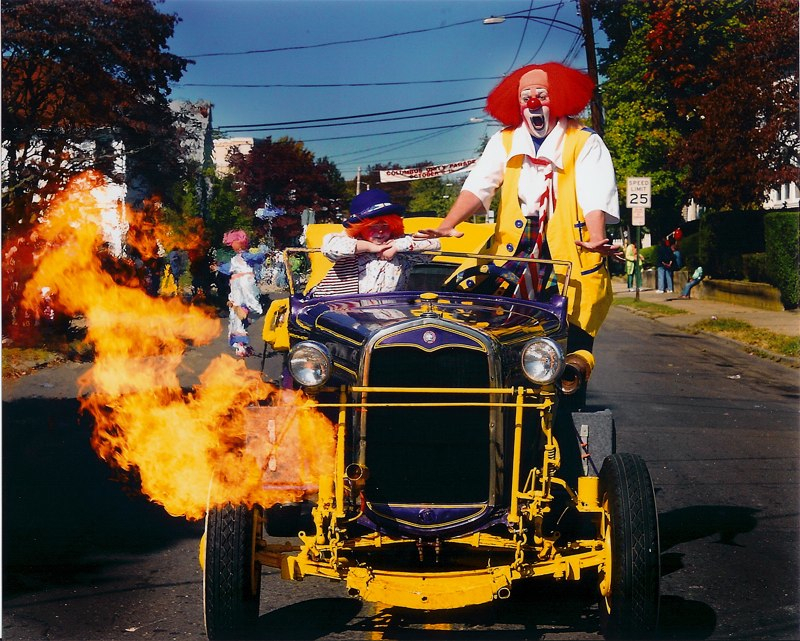 In this contest, the high court is supremely outmatched. Citizens United, with an assist from a 1976 decision Buckley v. Valeo, has led to the farce of unlimited corporate election spending, “uncoordinated” super PACs that coordinate with candidates, and a noxious round of attack ads, all of which is protected in the name of free speech. Colbert has been educating Americans about the resulting insanity for months now. His broadside against the court raises important questions about satire and the court, about protecting the dignity of the institution, and the role of modern media in public discourse. Also: The fight between Colbert and the court is so full of ironies, it can make your molars hurt. When President Obama criticized Citizens United two years ago in his State of the Union address, at least three justices came back at him with pitchforks and shovels. In the end, most court watchers scored it a draw. But when a comedian with a huge national platform started ridiculing the court last summer, the stakes changed completely. This is no pointy-headed deconstruction unspooling on the legal blogs. Colbert has spent the past few months making every part of Justice Anthony Kennedy’s majority opinion in Citizen United look utterly ridiculous. And the court, which has no access to cameras (by its own choosing), no press arm, and no discernible comedic powers, has had to stand by and take it on the chin. It all started when Colbert announced that, as permitted by Citizens United, he planned to form a super PAC (“Making a better tomorrow, tomorrow”). As he explained to his viewers, his hope was that “Colbert Nation could have a voice, in the form of my voice, shouted through a megaphone made of cash ... the American dream. And that dream is simple. 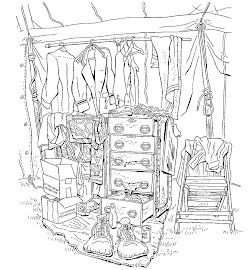 That anyone, no matter who they are, if they are determined, if they are willing to work hard enough, someday they could grow up to create a legal entity which could then receive unlimited corporate funds, which could be used to influence our elections." Then last June, like a winking, eyebrow-wagging Mr. Smith, Colbert went to Washington and testified before the FEC, which granted him permission to launch his super PAC (over the objections of his parent company Viacom) and accept unlimited contributions from his fans so he might sway elections. (He tweeted before his FEC appearance that PAC stands for "Plastic And/Or Cash.") In recent weeks, Colbert has run several truly insane attack ads (including one accusing Mitt Romney of being a serial killer). Then, with perfect comedic pitch, Colbert handed off control of his super PAC to Jon Stewart (lampooning the FEC rules about coordination between “independent PACS” and candidates with a one-page legal document and a Vulcan mind meld). Colbert then managed to throw his support to non-candidate Herman Cain in the South Carolina primary, placing higher on the ballot than Rick Perry, Jon Huntsman, and Michele Bachmann. At one level, this is all just comedy, and it’s hard to measure whether Colbert’s sustained attacks on the court’s campaign finance decisions are having any real impact, beyond making us laugh. On the other hand, when the New York Times declares that Colbert’s project is deadly serious, and it’s just the rest of politics that’s preposterous, something more than just theater is happening. I spoke to Trevor Potter, former chairman of the FEC and adviser to John McCain, and the man Colbert has designated his “personal lawyer,” about the consequences of Colbert’s assault on the campaign finance regime. Potter is very careful not to ascribe an end game to Colbert’s efforts but says that he has seen Colbert’s campaign finance crusade as an “opportunity to open up to the rest of the world what we lawyers already know: that the whole area of campaign finance is a mess.” He adds that Colbert’s antics are “having a real effect in terms of public understanding about how the system works” and getting people to start to think about how to fix it. In other words, (if you can stand the irony) in Citizens United, the Supreme Court empowered Colbert to create a super PAC so he could answer back to, well, folks like Stephen Colbert. The opinion even notes that “Mr. Smith Goes to Washington may be fiction and caricature; but fiction and caricature can be a powerful force.” Now, courtesy of Mr. Colbert, no one knows that better than the court itself. 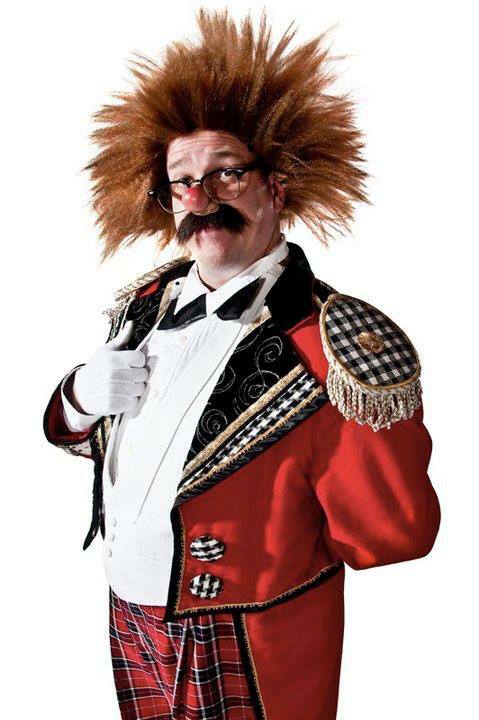 Just a quick note to mention that I was pulling out my auguste costume the other day in preparation for my 2012 tour with the Yankee Doodle Circus and wanted to give a plug to my friends Tara and Trick Kelly at Pro Clown Store. My yak wig still looks just as full and as funny as the day I got it. The craftsmanship is absolutely outstanding. 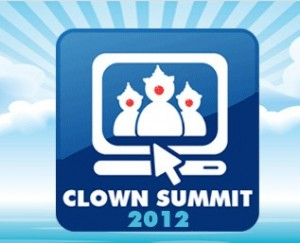 The Clown Summit is a free, online, week-long audio event happening January 30th - February 3rd. 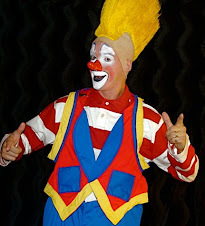 During the week of the Clown Summit a new audio interview with an influential clown educator will be posted to the website each day. The interview will be available to listen to for free for only 24 hours. Then, the next day a new interview will be posted.